A proposed Scout Center for the The Boy Scouts of America in Central Virginia. A site has not been secured for the center so we focused on a versatile design that could be adapted to any location. 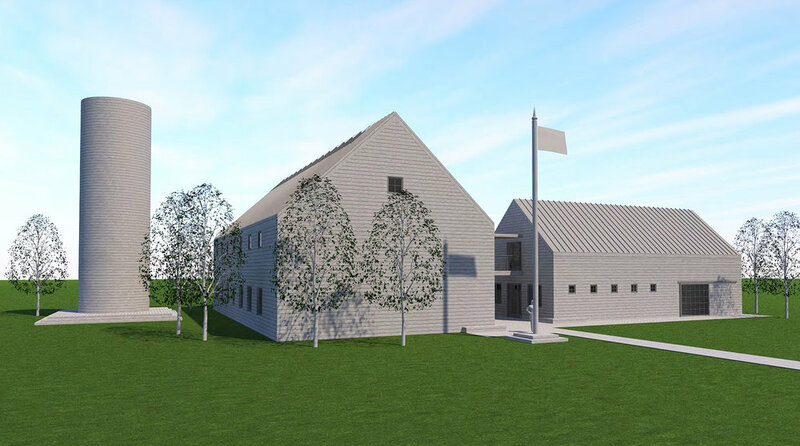 The proposed building has beed designed in a contemporary agrarian style that is rooted in the history and traditions of Central Virginia. Two simple barns, a silo and a variety of outdoor spaces provide a number of both functional and intriguing spaces for a variety of functions. 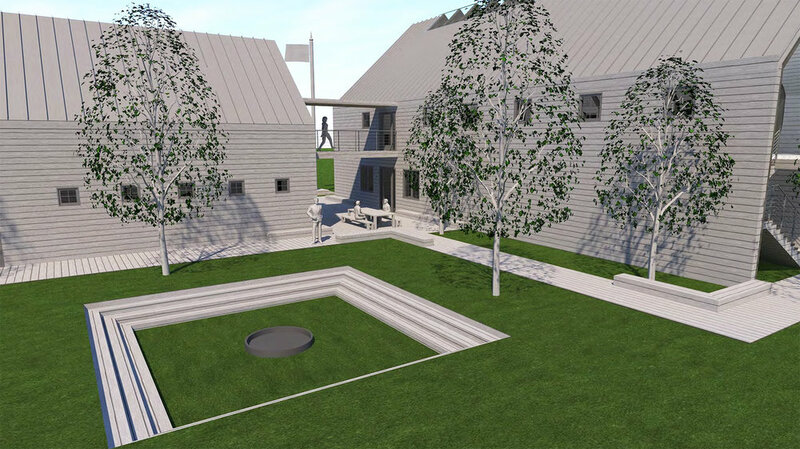 An emphasis has been placed on the outdoor spaces: decks, benches, a fire pit/amphitheater, a stage combined with the silo which may serve as a climbing wall, trees and landscaping all combine to create a playful, calm and beautiful atmosphere. Our aim is to create a new home for operations, education and events to welcome scouts, families and friends from all over Central Virginia. 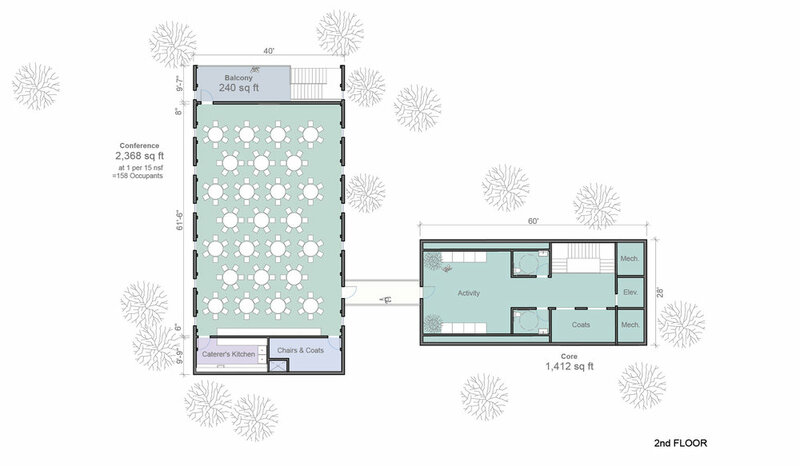 CONFERENCE INTERIOR WITH VAULTED CEILING, RIDGE SKYLIGHT & AN OPPORTUNITY TO CALIBRATE A VIEW.